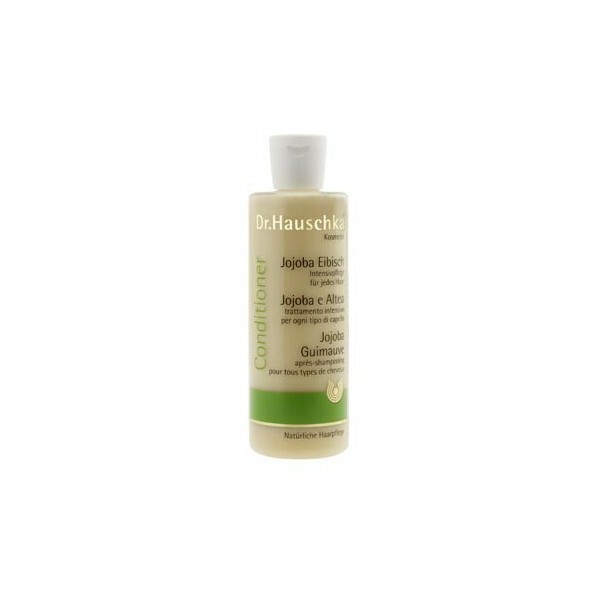 Dr Hauschka Jojoba and Marshmallow Conditioner. In long hair knots are easily and is difficult to comb after washing. The Dr. Hauschka Revitalizing Conditioner provides valuable substances to the hair after washing, forming a protective film. The extracts of oak bark and burdock along with wheat proteins each hair individually wrapped, protecting it. The essences of medicinal plants - neem, jojoba oil and marshmallow help to regenerate and strengthen the hair and scalp. Revitalizing Conditioner With Dr. Hauschka comb again a pleasure. Application: After washing your hair dry gently with a towel, apply and massage, leave on for 3 to 5 minutes, then rinse. Special features: With floral aroma Dr. Hauschka Revitalizing Conditioner Comb your hair with pleasure. It carries the endorsement BDIH controlled natural cosmetics.